Husqvarna has really hit it home with the version 445. As you will find out, it is really practical. This gas powered chain saw spans 18 inches and comes equipped with a 45.7cc engine backed with 2.8 horsepower. The best part is that this model is very lightweight and it comes with an air cleaning system. For a chainsaw of this caliber, the price – just under $320 – is very impressive. Before delving deep into our review of this model, let’s take a look at the specifications seen. The information above show just a little bit of what you can expect when using this chainsaw. 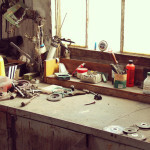 Let’s first start with our own experience with starting from the very beginning. First, you will need to fill up the gas tank. This model will require gasoline that is 89-octane. You will not want to use 87-octane, per the manufacturer’s instructions, as this can cause knocking. Other engine issues may also be caused by improper gas, so before getting started, make sure you fill it with the appropriate fuel. Key note to buyers: You can buy Husqvarna fuel pre-mixed. If you buy just 3, 32-ounce cans, you will be able to extend your warranty by two years! Once you have filled up the gas chamber, you are ready to start up the chainsaw and be on your way. This is done easily with the pull cord. You will find that if done properly (there are starting instructions included for cold and warm starting) this model will start up on the first pull. Our experience was the same. We didn’t read the instructions the first time, which led us to flood the engine. However, we have since started the 445 over 25 times and it started right up on the first pull. The grip and feel of this chainsaw is spot on. You will see a protective guard where your top hand is placed, which will protect your hands in case of any flying debris. The handle is coated in rubber, and you will be able to maintain a tight grip at all times. The bar length is 18-inches which allows for a lot better leverage than a lot of other models in this price range. 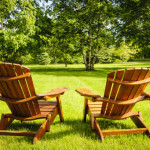 You can cut virtually anything from oak to wood for your latest woodworking project with it. When cutting, you will also notice that the vibration felt through the hands is not as apparent as with other models. This allows for improved comfort when cutting. Overall, the 445 provided a great feel, and with such a light weight (just 10.8 pounds), there really isn’t any concerns of your arms getting tired when cutting. 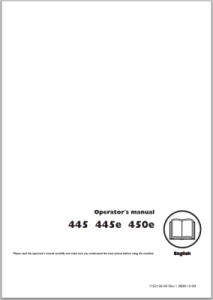 Click on the image to see operator´s manual for this model! The air filter pops right out with a quick release feature. 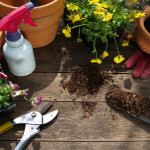 You will need to clean your filter and obviously change it to keep your motor in pristine shape at all times. The best part is that Husqvarna has gone the extra mile and provided a centrifugal air cleaning system. What this system does is it removes many of the big particles and debris that would normally get caught in the air filter. Essentially, this system ensures your engine never meets harmful debris and that you never need to make unnecessary filter replacements due to large debris clogging or damaging the filter. 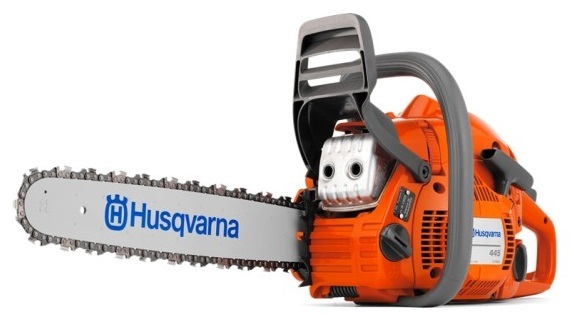 Keep in mind: For all intents and purposes, this is an excellent chainsaw that simply gets the job done. There is even a side tension adjustment that ensures that the chain is always properly adjusted. As with all products, we try to find the good and bad to really demonstrate how well each model operates. The 445 has a lot of pros, and a few minor cons. Keep in mind: Starting is a bit of a hassle without fully remembering all of the instructions. This is our only real complaint. You will also be able to purchase the perfect fuel mix straight from Husqvarna. Price of this product: Pricing wise, this is the perfect product for woodworking or every week cutting. Whether you are cutting wood to warm your home or building a shed, the 445 version is what you will want by your side. With a price under $320, this product is worth every penny. 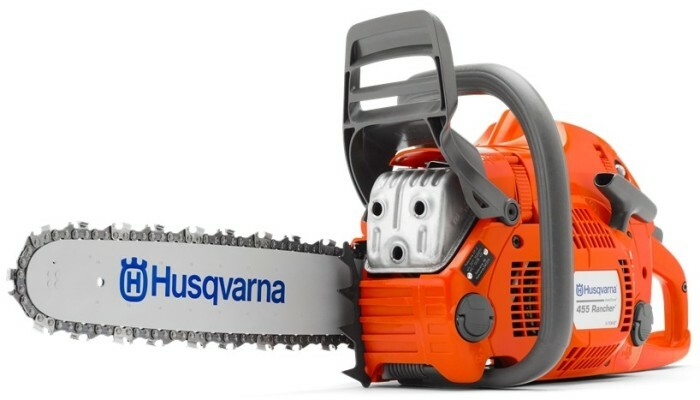 After scouring hundreds of user feedback left on the Husqvarna site (go here & scroll down) and Amazon (here), we found that the vast majority of people simply loved this chainsaw. Some users noted difficulty cutting logs larger than 2 feet in radius. Users have a difficult time understanding cold and warm starting. Aside from these two complaints, there really is nothing else seen minus the unfortunate chain breaking or leaking which is bound to happen 1 out of a few thousand models. Everyone else loved the cutting power, lightweight design and the low vibration. Click on the image above to see the whole thread! Keep in mind: Users also noted that this model has a much lower noise output than other models they have owned. Overall, everyone (minus those with the random broken chain) simply loved their purchase. MS 250 (learn more here) – The 250 is meant for occasional use and is slightly more powerful. This model features a 3.0 hp engine and around the same fuel capacity, displacement and bar length. The MS 250 is a strong competitor, but it has proven to be less versatile than the 445. 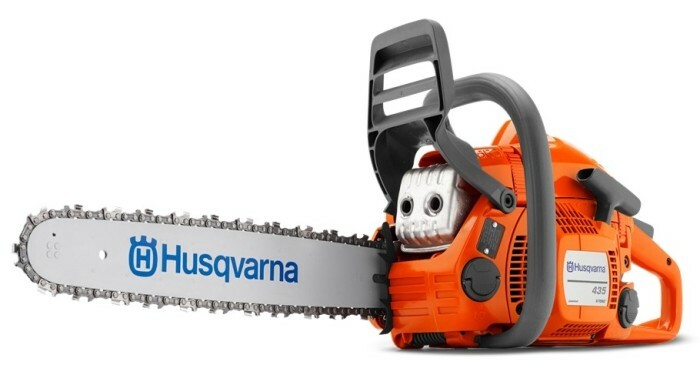 MS 251 (learn more here) – The 251 is almost identical to this Husqvarna model with a 10.8-pound weight, bar length of 18-inches and 45.6 cc displacement instead of 45.7. The engine is slightly more powerful by a mere .15 hp, but the MS 251 is made with fuel efficiency in mind. This may make the 251 beat the 445 in some respects. MS 290 (learn more here) – The 290 would have beaten the 445 in power, chain length size and virtually all other aspects. This was a heavy duty model, but sadly it is no longer in production. Keep in mind: As you can see, there are some models that are slightly better in specific uses! The only major difference is price, about $15 to $20, and the fact that the 445 comes with an 18-inch bar and not a 16-inch bar. 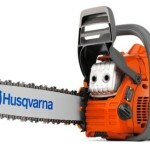 We prefer the Husqvarna simply because for $15 – $20 more, the 2-inch bar difference is well worth it! There are comparable models to the Husqvarna 445 on the market, but they usually lack 1 or 2 main selling points that wouldn’t make us switch. 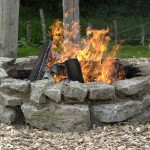 Overall, this version is a great buy for woodworking, cutting fire wood and more. You will also be able to use this chainsaw commercially due to the immense power and displacement seen. We highly recommend this product.